NWS Louisville Statement on the Challenges in Damage Assessment for the Henryville, IN Tornado. UPDATE: MARCH 6 – The National Weather Service in Louisville has published their initial findings including descriptions of the areas impacted. 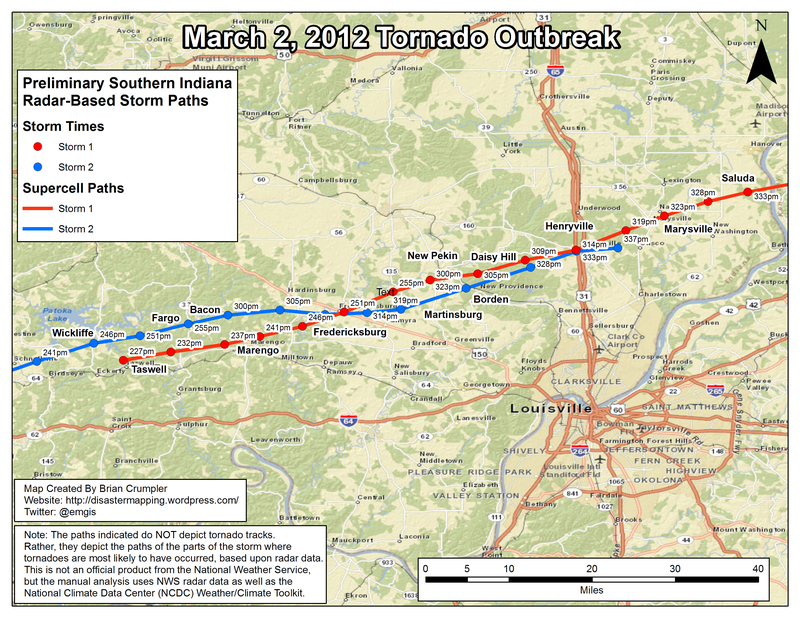 That information is available at: NWS Louisville Damage Surveys – March 2, 2012. The past two days have been full of media reports, tweets and information being shared on the tornado outbreak that occurred on March 2nd, 2012 affecting towns like Henryville, IN. As you can see from the statement below from the NWS Louisville Forecast Office, there were two supercell storms that impacted the area, with the first one producing the tornado that most people are talking about. 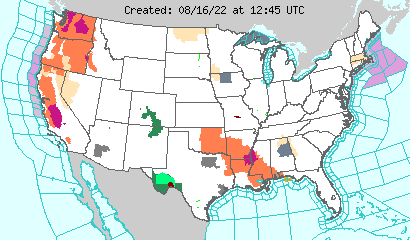 There was in fact a second storm behind the first one that also produced tornadoes and tornadic damage. To make things more complicated for damage assessment teams, the paths essentially paralleled one another, and even crossed in places, making it difficult to attribute the damage to one storm versus the other. I’ve put together the following the following map based on the NWS Radar information from the March 2nd tornado outbreak. The map shows the paths of the two storms and paint the clear challenge that the NWS professionals have in identifying and differentiating between the two damage paths. When more information is available from the NWS Louisville Office, links to their maps and storm summaries will be attached. Radar animation (click the map to open the radar loop in animation mode) of the storms that hit Southern Indiana on March 2, 2012 including towns such as Henryville, Marysville, Borden and New Pekin, IN. Map showing radar-based storm tracks of the two supercells that imacted the Southern Indiana towns of Henryville, Marysville, Borden and New Pekin. Note how the paths of the storms parallel and in places even cross or overlap. As of the time of this post, path maps for the tornadoes have not yet been posted to the NWS Louisville website. Storm tracks do NOT mean that a tornado was on the ground the entire time, but they point to the areas where the storms tracked.